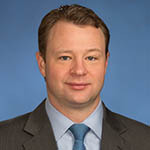 Matt is an Executive Vice President of Strategy and Corporate Development at Aqua America, a leading U.S. water utility. Prior to Aqua America, Matt was a Managing Director at Goldman Sachs in New York in the Natural Resources Investment Banking Group with a focus on power and utility clients. He has been involved in numerous Mergers & Acquisitions and financing transactions in the power and utility sectors throughout his career. Matt previously worked at Bank of America and Duke Capital partners in energy finance roles. Matt earned a BBA from the University of Texas at Austin and an MBA, with honors, from the Stern School of Business at New York University.